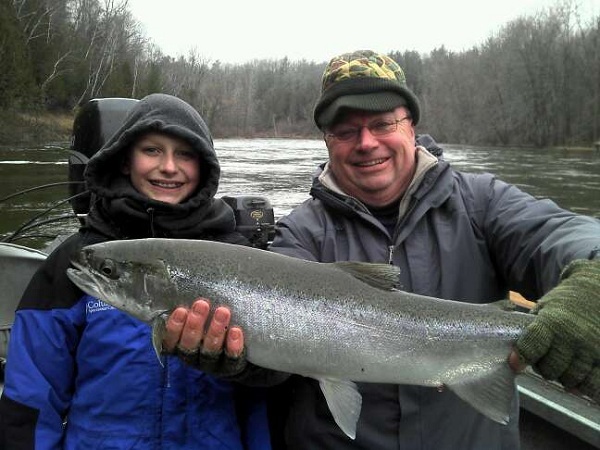 With the recent rain that fell here in Michigan the Muskegon River has taken a big jump in water level, which threw the fishing off a bit today. Look for things to really heat up as soon as the water level stablizes, the higher water should bring another good shot of Spring Steelheaqd to add to the already good numbers in the system. Back Bouncing Spawn is still our method of choice for numbers of fish especially in higher water. Josh, Brad and Garret are pictured below with a few that made the net in today's rapidly rising water. 4/4/2011 Josh and Brad with a chrome hen from today. 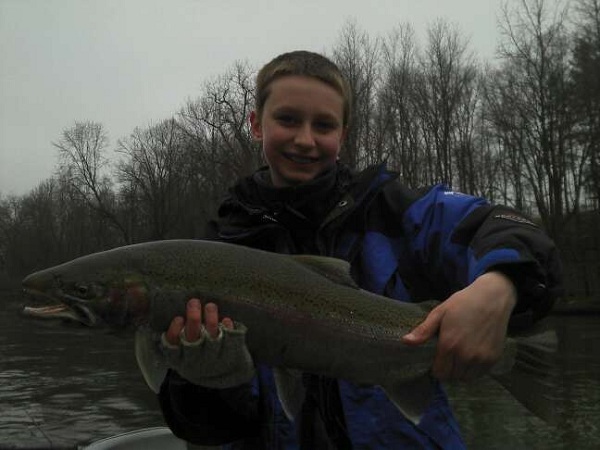 4/4/2011 Brad with his fiorst Muskegon River Steelhead. 4/4/2011 Garrett with a colorful Spring Steelhead.